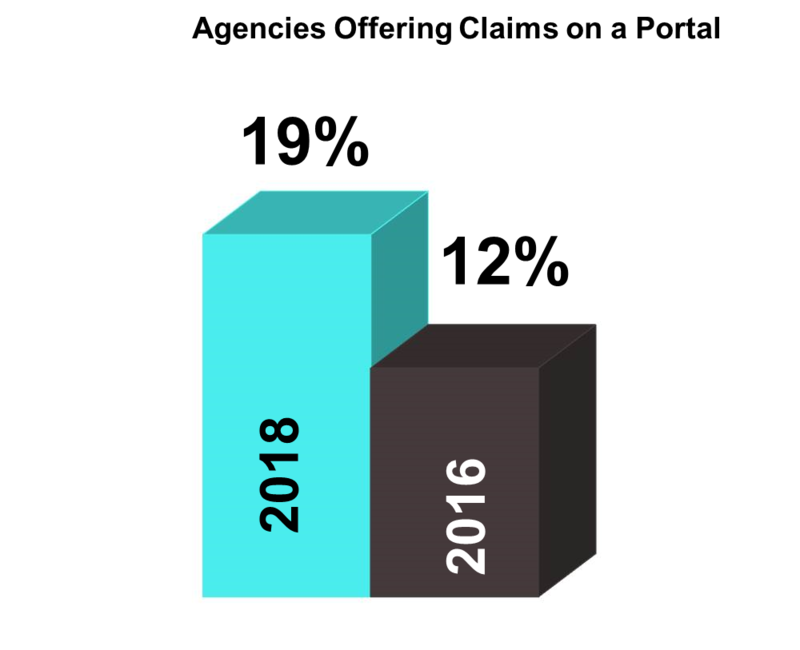 Our survey results show good news - many agencies are making significant changes to their approaches and growing their understanding and use of digital technology such as e-signature and quoting. There are clear improvements to key areas since our original study in 2016. But there are also significant gaps in certain areas, such as mobile, that are critical to attracting and servicing new insurance customers. It's clear that agents need to move faster to keep their advantage. More agents are realizing the importance of digital to their futures. But to this point many agencies have been more focused on leveraging technology for internal workflows - most likely driven by the capabilities of their management systems - then concentrating on customer-focused applications. But that is changing, as agents recognize the need to embrace digital more quickly to stay competitive. have advanced or highly advanced digital capabilities for their clients. have advanced or highly advanced digital capabilities for internal workflow. expect to make incremental improvements in their digital capabilities in 2018.
expect to make significant improvements in 2018. What stops agents from moving faster? The insurance industry has been typically slow-to-move in adopting new technologies. There are a variety of challenges, including the complexity of the products, regulations, and dynamics of the agent-carrier relationships. But beyond those umbrella issues, agents cite a variety of obstacles when it comes to adopting new solutions - issues that are applicable to many small businesses today. Agencies don't stand alone. Carriers and agents can partner to bring better experiences to customers, a fact that agencies were clear to acknowledge in the survey. of agents say carriers' customer facing technology is excellent. say carrier technology is average. 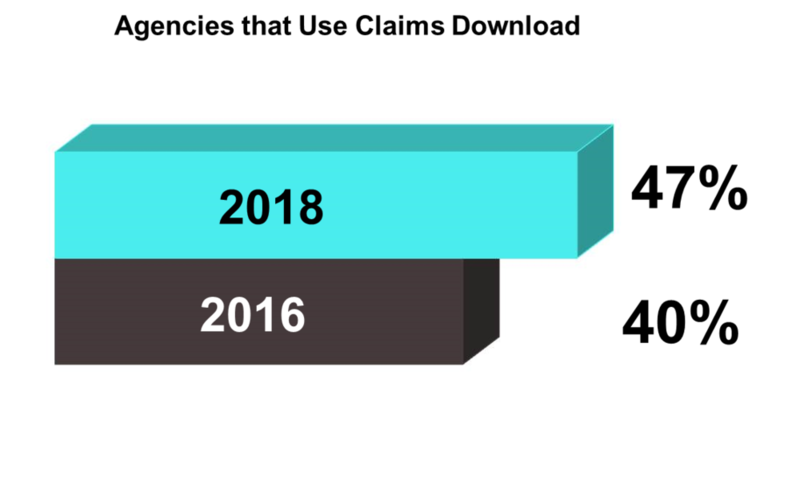 of agents say there are more ways carriers can support their digital initiatives, including more download, especially commercial lines and commission statements, assistance in training staff, and support for e-signature. There are encouraging signs that agencies today are making it easier for customers to do business with them, demonstrated by significant increases in the use of digital tools, like e-signature and web quoting. But there are also significant gaps. Agencies still don't consider their web sites up to par, a view that has not changed since the 2016 survey. And more than three-quarters of agents surveyed do not have any mobile applications. rate their websites as excellent. say their web sites are good. rate their sites as average. get leads from their web sites. use social media, specifically Facebook and LinkedIn. are getting leads from social media. of agencies do not provide any mobile applications for prospects or customers. Despite an increase in the use of customer portals, agents have a longer way to go to using digital technologies to improve the customer service experience. Few agencies are providing mobile applications or offering 24x7 service, and fewer still report using even basic service solutions, such as live chat. Agents have been very focused on leveraging technology and processes to become more efficient. These include everything from agency management systems to CRM and lead management. They have made solid progress to date, but many say they'd get even more benefits if more carriers would participate in available industry solutions. And there are real opportunities for agents to expand their use of cloud and CRM. are satisfied or highly satisfied with their current methods of managing the pipeline. rate their ability to manage leads as good or excellent. are using the cloud-based version of their agency management systems. of agencies have upgraded their management systems in the last year for greater capabilities, cost efficiencies and greater security. of agencies are using eDocs and Messages for DEC pages, underwriting memos, and billing information. say that eDocs and Messages have improved internal efficiencies. Agents are concerned about security, but there is a disconnect between the level of concern and taking action to make their information safer. More than half of agencies say they are concerned about cyber threats, yet they don't have a good understanding about what those cyber risks are, and what to do about them. Only 37% of agencies have a written security plan in place and hold training for employees on security and cyber issues at least once a year. Even fewer perform penetration and vulnerability scans annually. Therefore, it's surprising that nearly half of agencies rate their protection against cyber threats as good. of agencies rate cybersecurity protection as good. say their cybersecurity protection is excellent. say they don't have a good understanding of cyber threats and what to do about them. have a written security plan in place. These plans are a requirement by Gramm-Leach-Bliley Act and the NAIC Model Laws. hold cybersecurity training for employees at least once a year. perform annual penetration and vulnerability scans.